Kids can build this rough-and-tumble robot in about an hour and then enjoy his antics for a long time to come. Run by a single motor, it walks with purpose--and with an amazing design and impressive gear mechanism, it just won't quit! 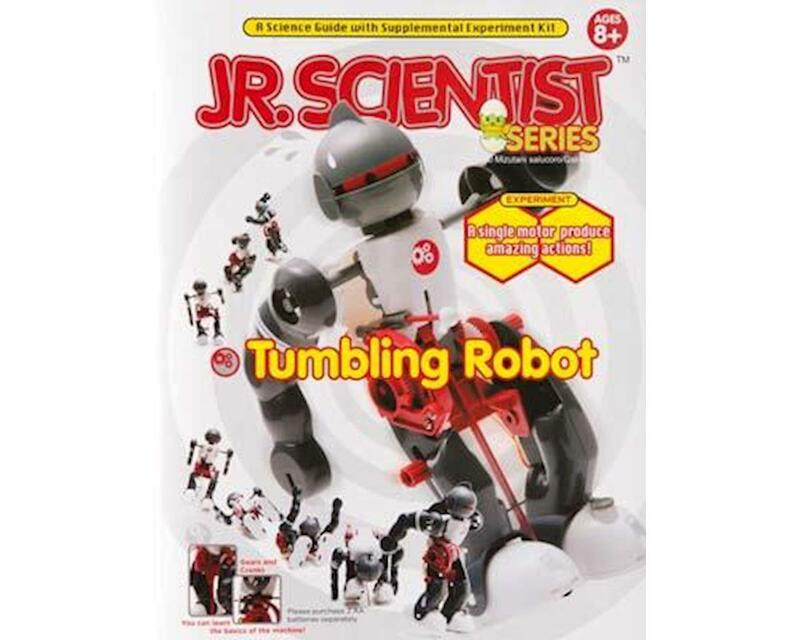 The robot has the capability to function in three different modes: fall-and-get-up mode, dance mode, and somersault mode. Made of high-impact plastic for durability. Some assembly required. Requires 2 AA batteries (not included). For ages 8 and up. Size: 11-1/4" x 8-3/4" x 2"